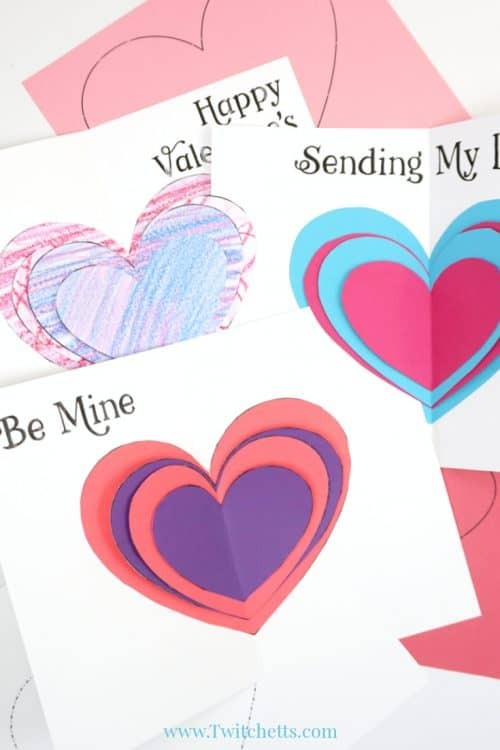 This 3D Valentine’s Day Card will wow, with very little effort. And since we use construction paper, they cost next to nothing. They’re perfect for passing out to friends or giving to loved ones. Everyone loves the feeling of getting something in the mail! To get something special mixed in with all the blah we usually receive can really brighten our day! 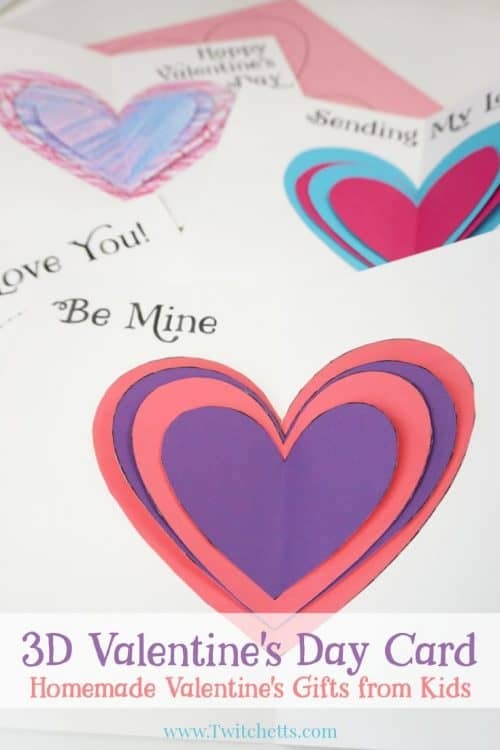 We wanted to create a template to help your kiddos create a fun and unique card to send out to those they love. 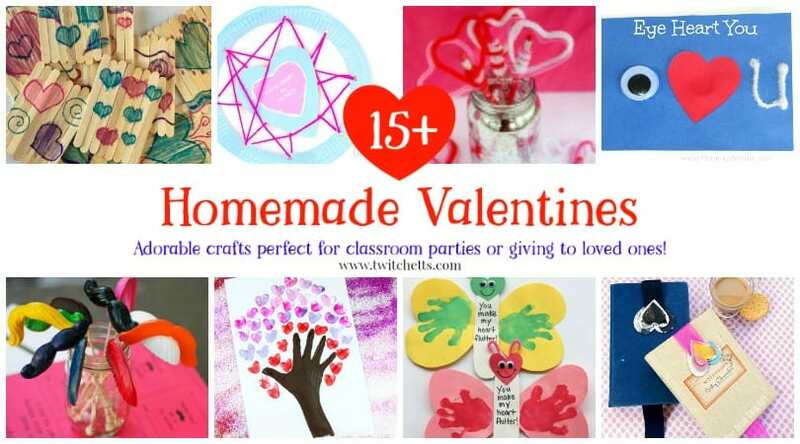 They can pick from different backgrounds and create them so many different ways. Paper. 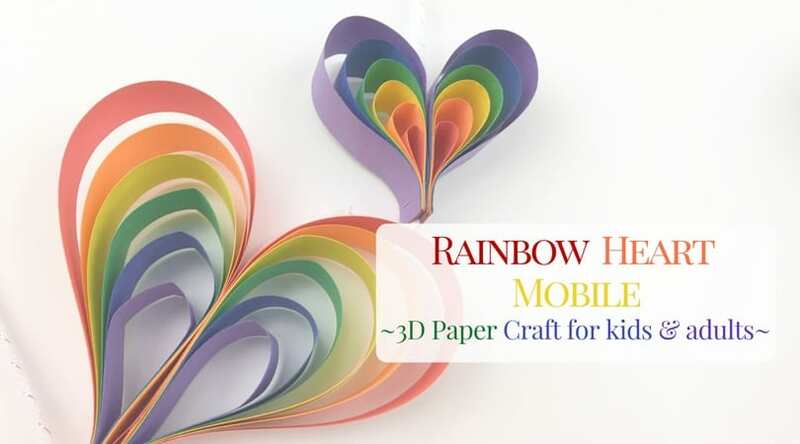 White Cardstock, Colored Cardstock, Construction Paper, or Plain Printer Paper! Markers, Crayons, or Colored Pencils. 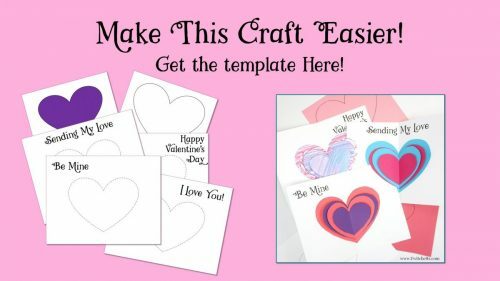 To create your card first pick from one of the 4 background template choices. Some would work for Valentines Day cards. 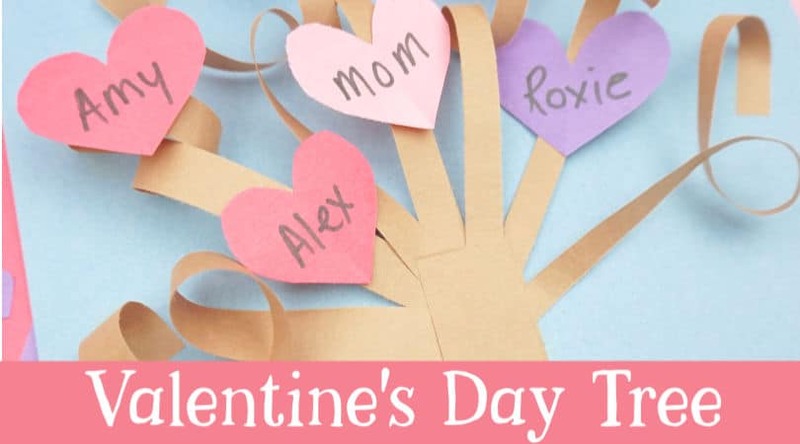 Others you can use through the year for Mother’s Day, Grandparent’s Day, or just to send out something special! You have a lot of different options on how you can create your hearts. 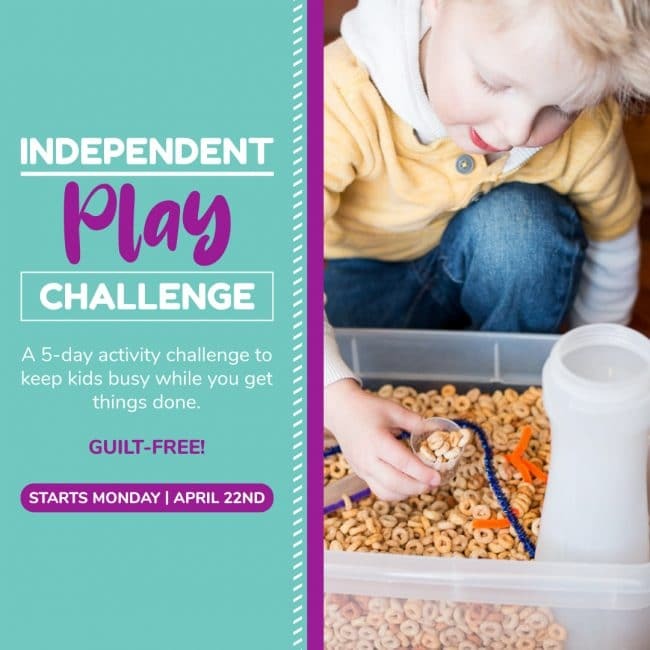 Take a peek at the video below to see them all! 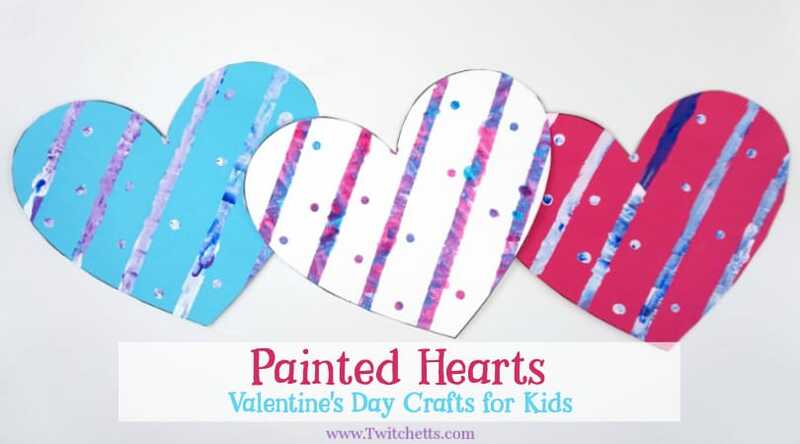 Once you decide on your hearts, you can choose from a colored template or a blank one that your child can decorate, cut all 4 out. 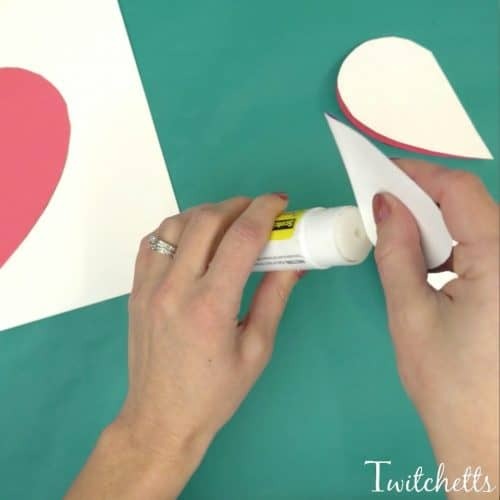 Then glue your largest heart over the dotted heart on the template. 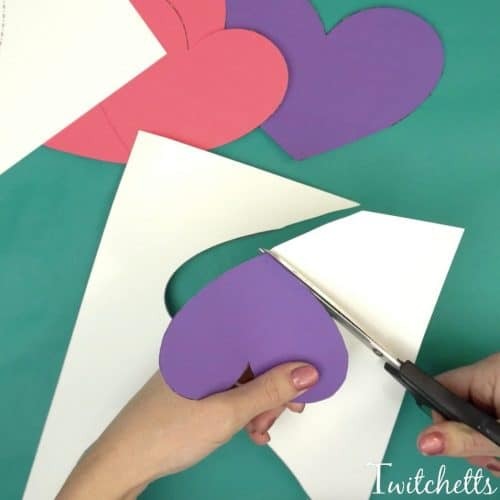 Fold each of the smaller hearts in half, the design or color on the inside. 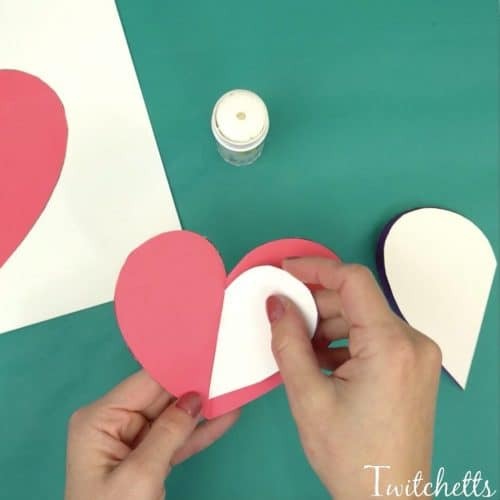 Starting with the smallest heart add glue to the seem. Press lightly so the glue goes up the sides a bit. Place that heart inside the fold of the next size up. 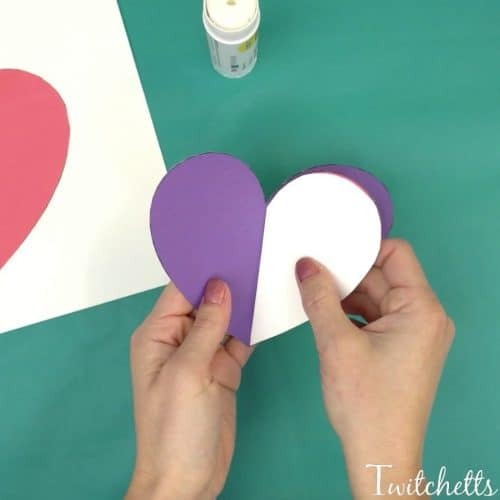 Next, add the glue to the seem of that heart and add to your last folded heart. Fold and crease your card template in half. 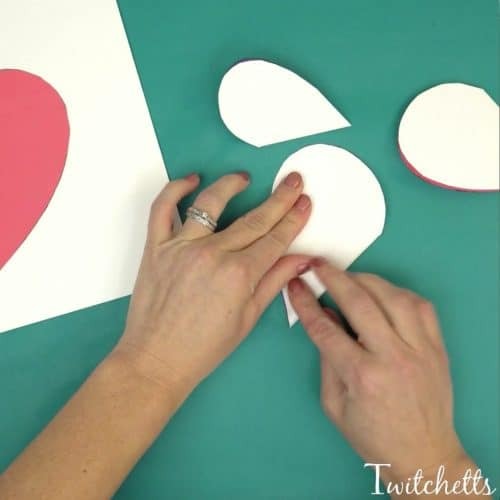 Then add all of your hearts inside the big heart, using glue on the seem again. Fold and press the seam for at least 10 seconds. Open, fluff your hearts, and allow to dry completely. Check out the whole process in our video! 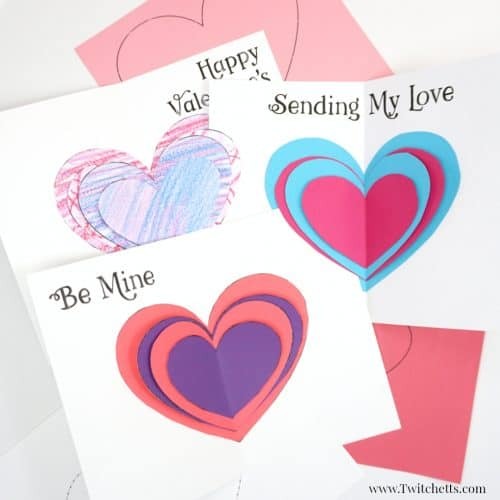 These cards are so sweet to pass out and are sure to brighten anyone’s day! Grab your template here! 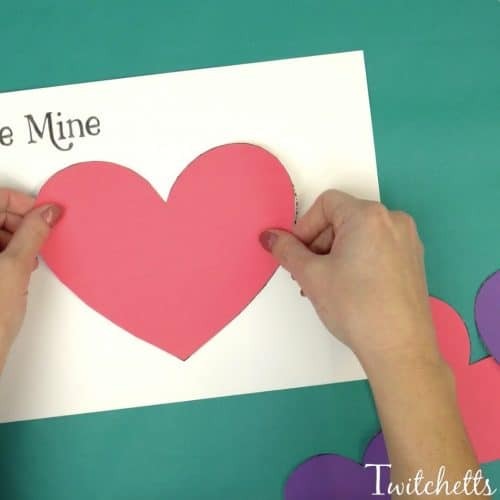 Pin this DIY card to your favorite Pinterest board.